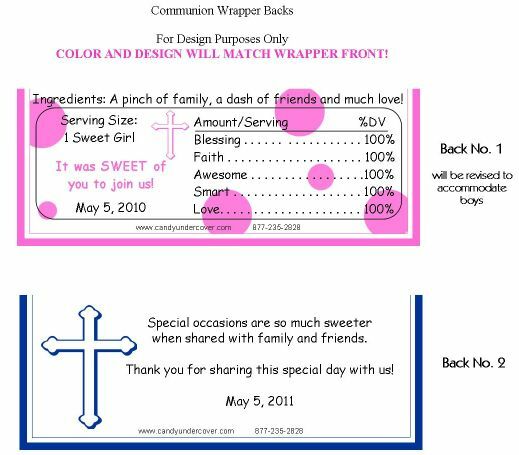 Our Hot Pink and Brown Dots First Communion Candy Bar Wrappers are HOT HOT HOT! Pink and Brown are the "IN" colors and pair them with trendy polka dots and a pink cross and you have a fabulous Communion Party Favor! 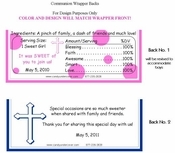 Personalized with your daughter's name and date of Communion, you can't go wrong with these candy wrappers. The color can be changed if you to match your color theme. Just email us and let us know!